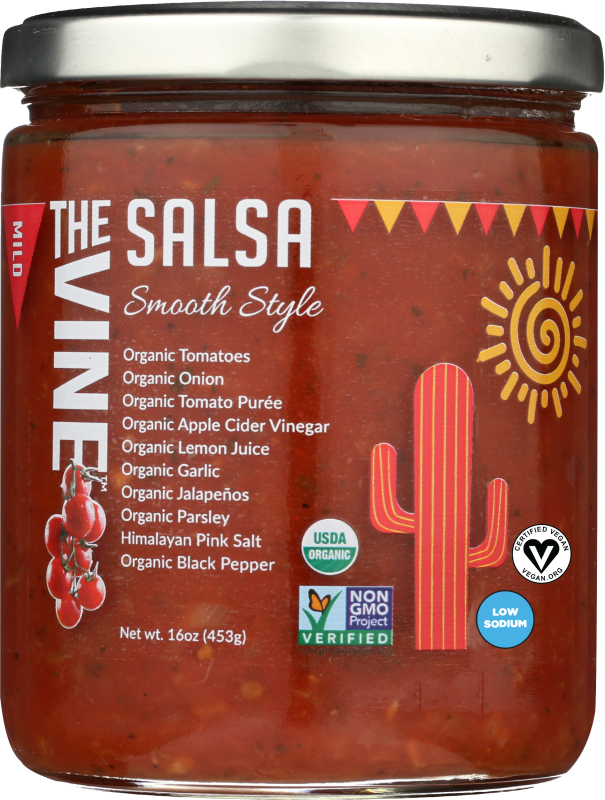 Sun-ripened California tomatoes, fresh onions and garlic, lemon juice, apple cider vinegar, and a little kick from freshly diced jalapenos will make this your new go-to salsa. Mild heat. Smooth texture. Ingredients: Organic Tomatoes, Organic Fresh Onions, Organic Apple Cider Vinegar, Organic Lemon Juice, Water, Organic Garlic, Organic Jalapeno Peppers, Organic Parsley, Himalayan Pink Salt, Organic Black Pepper. 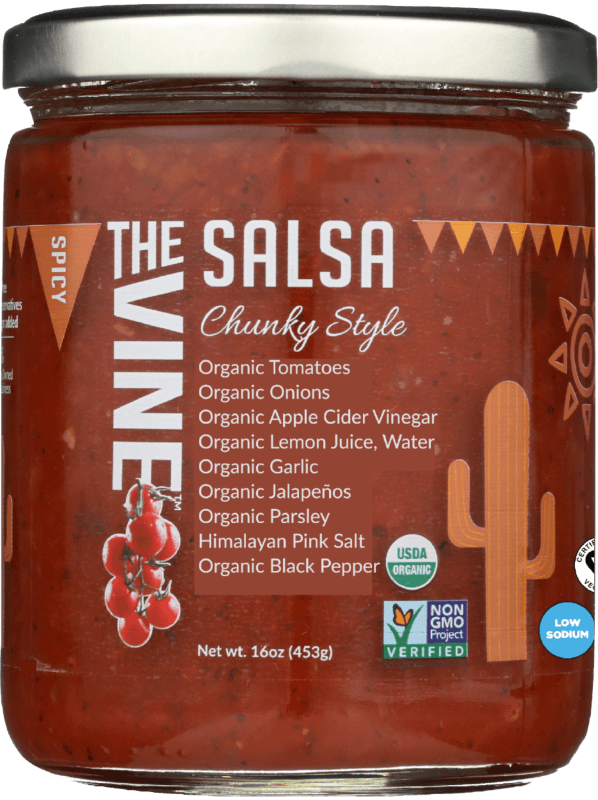 The Vine's delicious Chunky Salsa has generous chunks of tomatoes, onions and jalapeños. 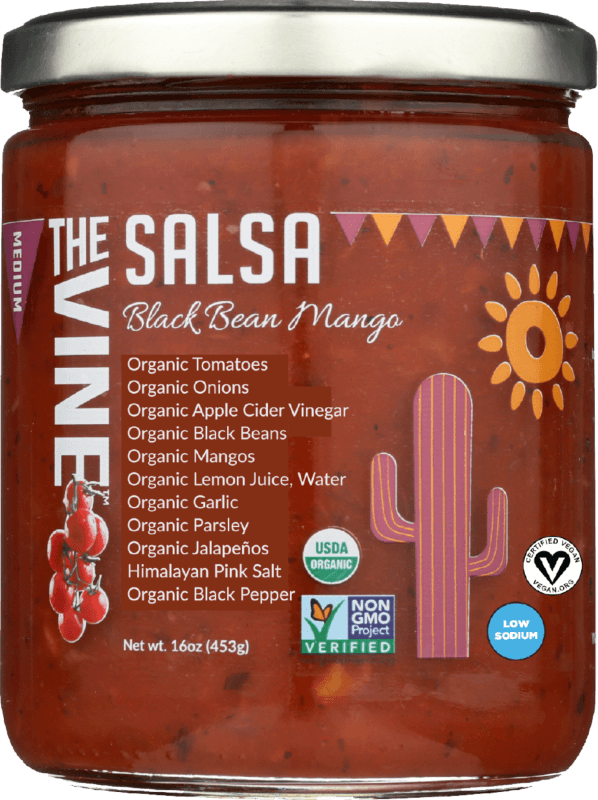 Seasoned with garlic, lemon, apple cider vinegar, and Himalayan pink salt, the fresh flavors will make this your new go-to salsa. Spicy. 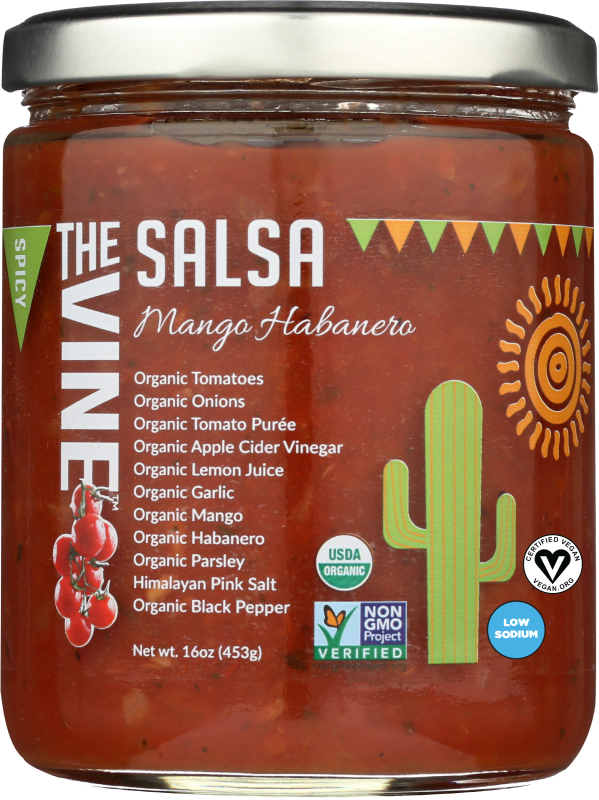 Vine ripened tomatoes and sweet mango paired with smoky habanero peppers have never tasted so good. A refreshing alternative to traditional salsa. Spicy. Ingredients: Organic Tomatoes, Organic Fresh Onions, Organic Apple Cider Vinegar, Organic Mangos, Organic Lemon Juice, Water, Organic Garlic, Organic Parsley, Organic Habanero Peppers, Himalayan Pink Salt, Organic Black Pepper.